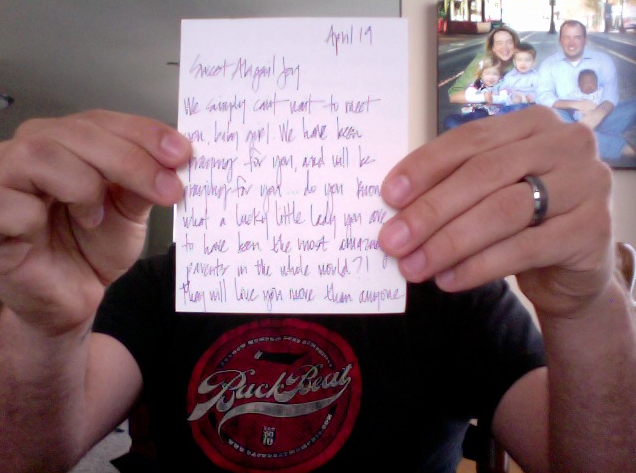 Just checked the mail and found an Amazing Letter from some of our dearest friends. They wrote a letter to Abigail. Welcoming her to our family, encouraging her, sharing their excitement for her, and giving a few funny pointers on how to survive the Carroll Household!